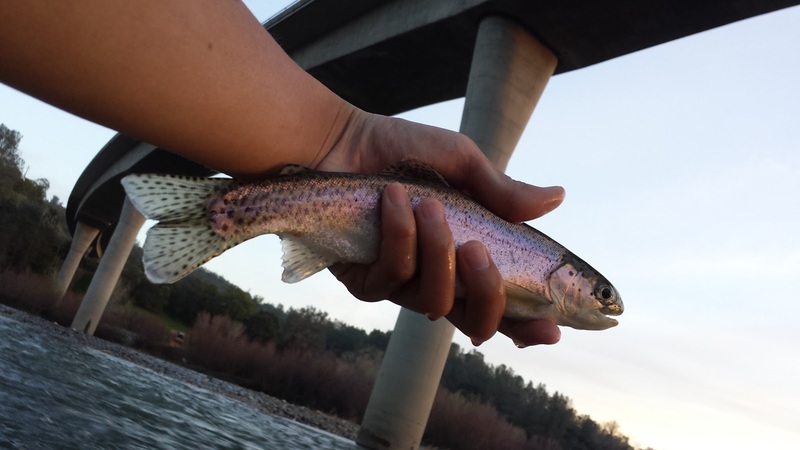 After spending a few days on the Yuba this week it's official, the river is fishing tough. Crowds continue to flock the river despite the poor fishing conditions. Every angler I came across shared the same results; skunked. Why is the fishing so difficult? 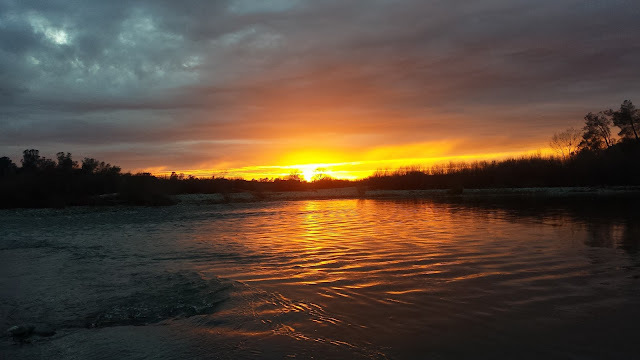 The river was fishing great when there was a murky tint to it but now that it's cleared up a bit the fishing has been very tough. The Yuba was flushed about a month ago and we are finally seeing the aftermath of it. The trout were having a full-on feeding frenzy when the murky water was flushing around a buffet of bugs but now with three weeks of clearer green water, the buffet is closed and there isn't a whole lot of food going around. Before the blowout the rocks on the bottom of the river were clean and full of insect life. After the blowout the majority of the river is now covered with slimy slippery brown algae. After fishing a run without a single bump, I went over to the riffle above it and flipped over a few brown algae covered rocks. Each rock I flipped had zero bug life. Eager to confirm my hypothesis, I waded to an area were the rocks were cleaner and there they were... bugs! So not only is the algae a pain to wade through, it is also life-less like the gross slimy crap that it is. The water is also colder than usual which slows down the trout. It'll take awhile for the river to regain its strength so we need to adapt and make the best of the cards were dealt with. I enjoy the challenge and low numbers means every fish counts. 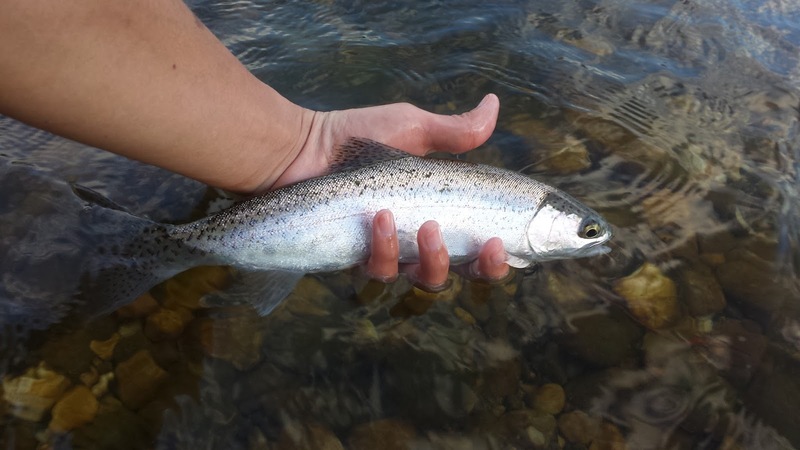 The skwala dry fly fishing is as it always is, not a lot of numbers but if your dedicated and enjoy blind casting in attempts to rise a fish then go for it. Nymphing is producing for those who figure it out. I've come to the conclusion that when I am on the water I need to try and be as productive as I can. 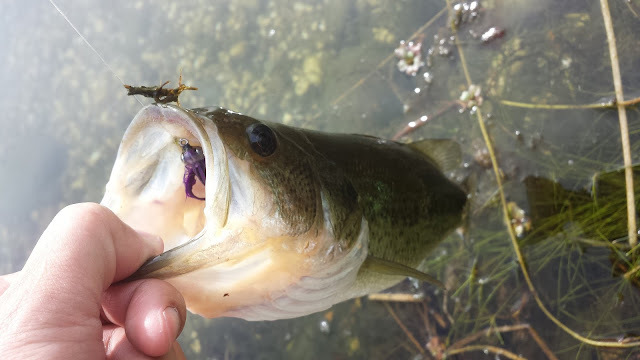 Learning how to adapt to different conditions makes you a better angler, sticking to one technique when you know it won't be as effective doesn't. You don't throw emergers when nothing is emerging right? Why throw dries when nothing is rising? I am currently reading Dynamic Nymphing by George Daniels in efforts to try and advance my nymphing knowledge. Nymphing is the most productive way to fish due to a trout's diet of subsurface insects therefore it is essential to have good knowledge of different nymphing techniques. I've been perfecting my tight-line/Czech nymphing techniques on the Yuba with great results. Tight-line nymphing is productive, active, and fun. 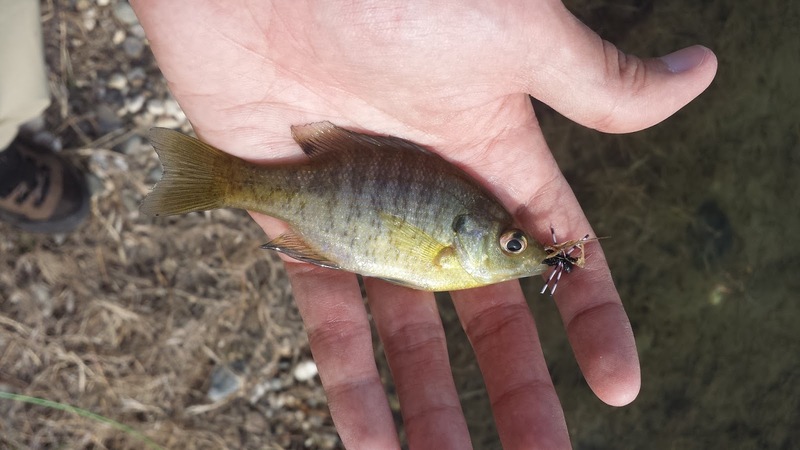 The ponds haven't turned on yet but I did find a bunch of dry fly bluegills and a bass.